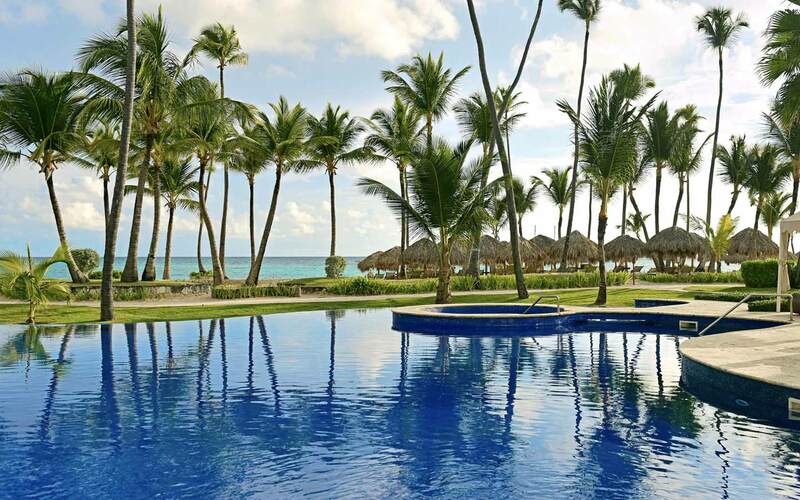 Iberostar Grand Hotel Bávaro is located in the mythical Bávaro de Punta Cana Beach, in the Dominican Republic. 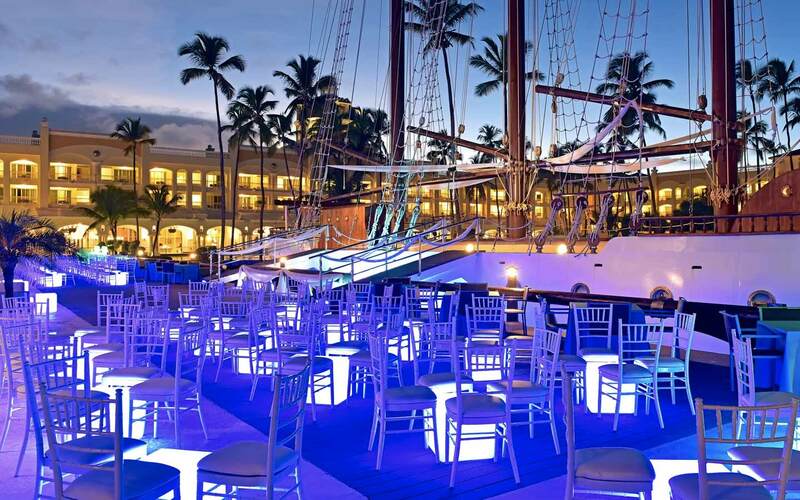 Iberostar Grand Hotel Bávaro is a spectacular 5-star, all-inclusive and adults-only hotel that belongs to the exclusive IBEROSTAR Grand Collection hotel chain. 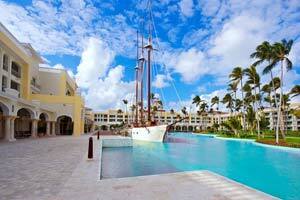 Winner of the World's Top Ten Travelers' Choice ®Awards: the Grand Hotel Bávaro. 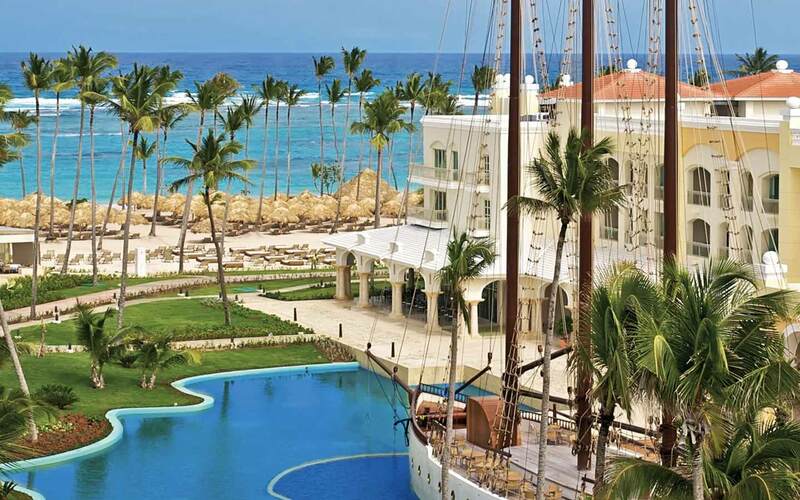 Bathed by the waters of the Caribbean Sea, the Iberostar Grand Hotel Bávaro is an elegant adults only complex in Punta Cana, designed for an exclusive tourism seeking luxury all-inclusive vacations, a memorable celebration, or a few special working days in a 5-star resort. The Grand Collection line was created to be a true ‘Hotels’ Hotel,’ where the words splendor, attentiveness, relaxation, spa, suite, gastronomy, sports, and comfort take on a whole new meaning. 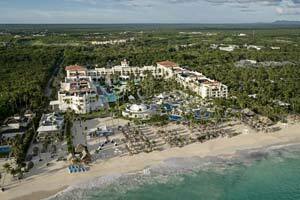 Iberostar Grand Hotel Bávaro offers 272 suites: 12 grand suites at the seaside, 19 suites with direct access to the pool from their terraces (swim out suites) and 241 suites with views out onto the sea or the garden. 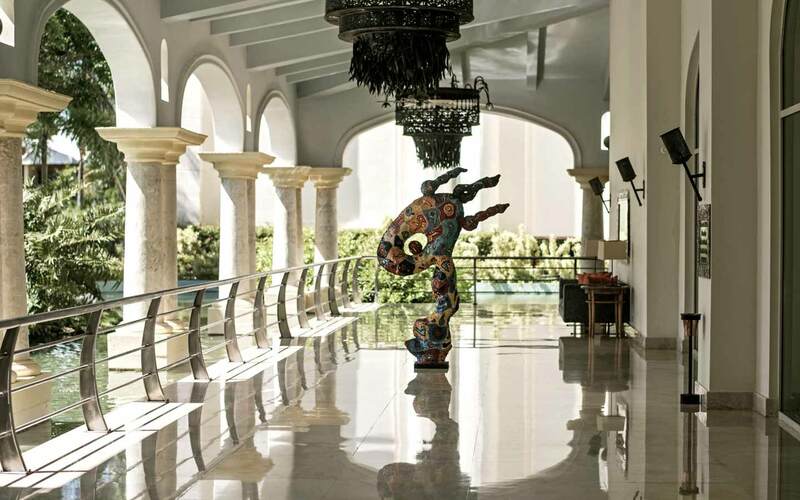 With its design inspired by Greco-Roman Architecture, the Iberostar Grand Hotel Bávaro is itself a revelation for the senses; in its salons, as well as in its gardens and rooms, the utmost care has been taken with every detail in matters of decoration. In a fascinating combination of materials and styles, wood, granite, plants, and water come together to create a highly welcoming environment with lots of class. The tourist destination par excellence, this precious jewel is called ‘aquamarine,’ a name that comes from the Dominican sea’s infinite color. 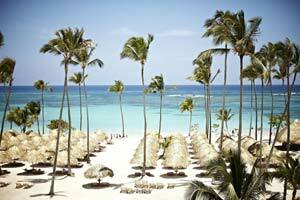 Off the east of the island, the Caribbean breezes cool the white sands of the famous Punta Cana Beaches, as its palms fan the natural beauty of the surroundings day and night. 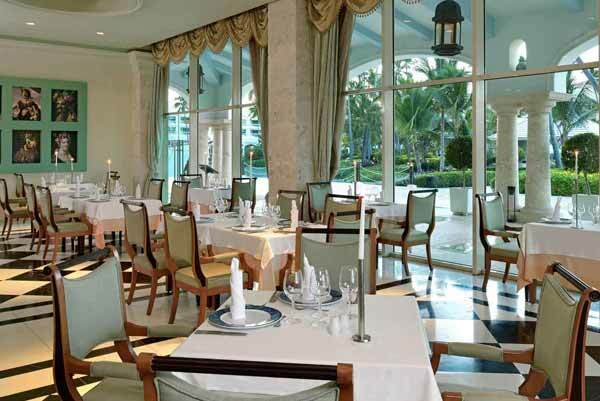 There, hidden within this paradise, is this jewel of the IBEROSTAR grand collection. If you’d like to purchase a souvenir, some local artisan craftwork, a book, a newspaper, gifts, or personal articles, there’s no need to leave the grounds, since right at the hotel there is a well stocked shopping area to solve your problems and make your life easy. 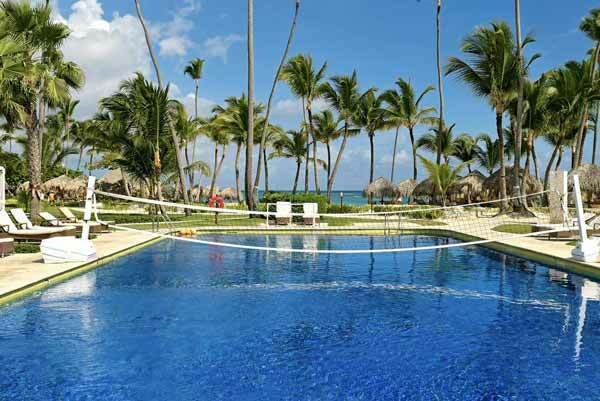 The excellent, personalized service offered by our Punta Cana 5-star luxury resort, the IBEROSTAR Grand Hotel Bávaro, includes check-in with a moist towel and a welcome drink, an evening cocktail, newspaper delivery and shoe shine service, beachside and poolside concierge service, sunbathing products and reading material. If you need greater personal attention, our Grand Star Service includes, aside from concierge and butler service, a welcome with a cold moist towel and a welcome drink, private check-in by the butler in your room, luggage packing and unpacking service, overnight ironing, breakfast in bed, personalized check-out, bath preparation and private transport within the hotel. 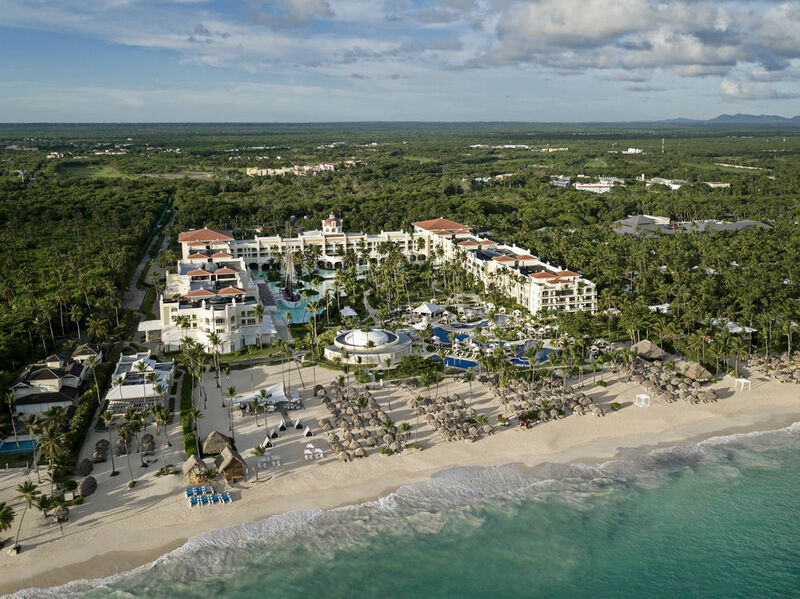 With the All inclusive plan offered by our 5-star resort in Punta Cana, you can enjoy a comfortable room, with full board, including delicious meals at the à la carte restaurants and buffets, plus beverages including prestigious brand name liquors and sodas. 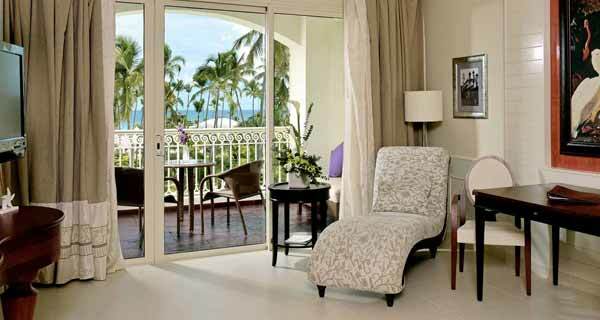 You’ll also have deluxe room service and a butler to enjoy the comfort of an unforgettable luxury vacation. At the Iberostar Grand Bávaro we’ll be proud of provide you the most unforgettable Punta Cana all inclusive vacations. And because there’s more to life than resting, working, or sunbathing, our all inclusive & adults only resort offers its guests a set of activities to satisfy the most demanding customers and keep you in shape: three pools (two lake-pools, one with an aqua-bar and another for activities, plus 2 open air jacuzzis); complete gym with scheduled activities (tai-chi, spinning, target shooting, archery, beach volleyball, dance classes, darts, aerobics, ping-pong, tennis and water polo); and as for water sports, hotel guests can enjoy catamarans, snorkeling and sailing lessons or diving lessons in the pool, boat trips, parasailing, water skiing and windsurfing (some are charged); various parties, activities and events are also scheduled over the course of the day. 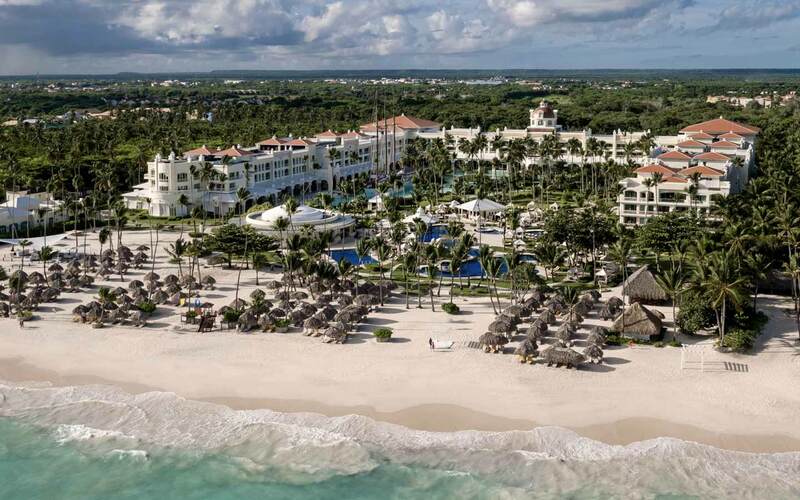 And, of course, if you want to enjoy of a relaxing evening after any of those activities our spa & wellness will always be your best choice to live the perfect vacations in Punta Cana. The 18 holes at the ‘IBEROSTAR Bávaro Golf’ club, created by the designer P.B. Dye, stand out with their harsh hills and the crosswinds around the holes. As they play the course, golfers can enjoy both the equipment that the golfers’ club offers, and the food and beverage service included while they play. 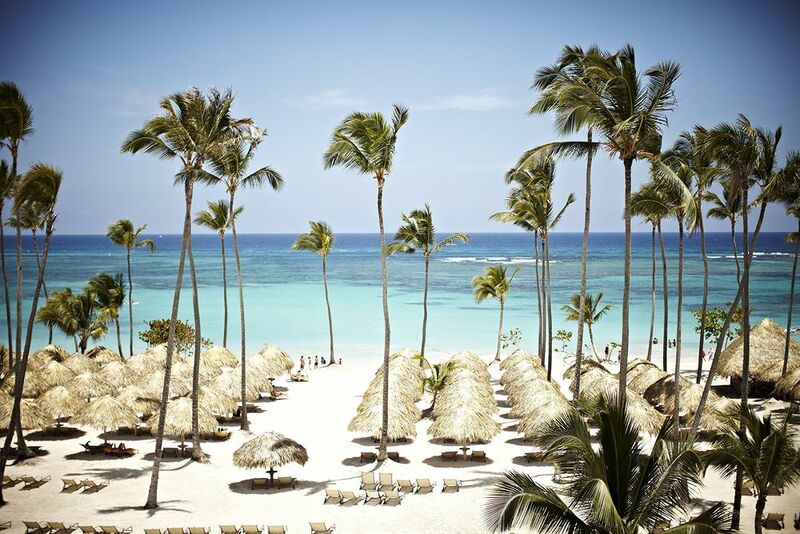 A sport played by elites the world over, playing the links at Bavaro is an opportunity to really score, or at least to have an unforgettable experience. 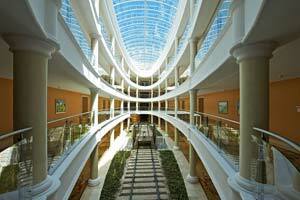 A stay of 7 or more nights includes two days of golfing (equipment is charged). The secret of true comfort awaits you at our spa with two levels and different ambiances, located at the edge of the Dominican Caribbean Sea. 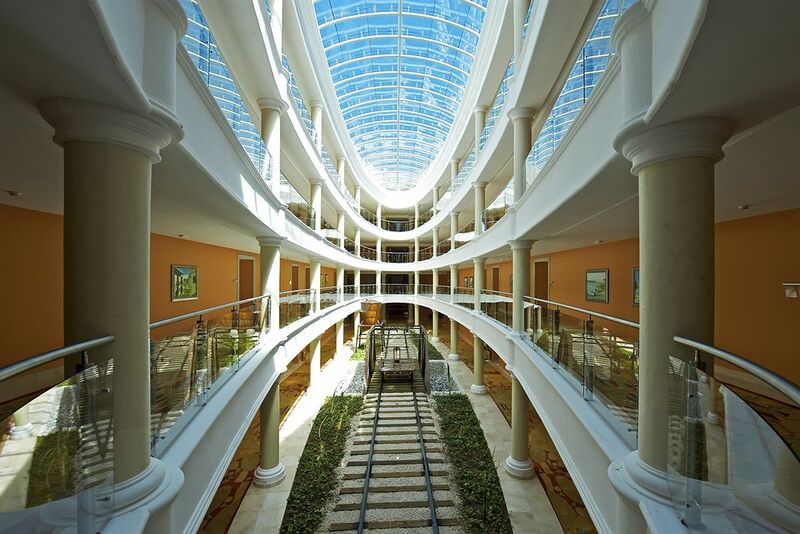 The centre, served by professional mental and physical stress specialists, offers couples treatments in luxurious suites, beach-side massages, and relaxing Turkish baths or hammams and jacuzzis.